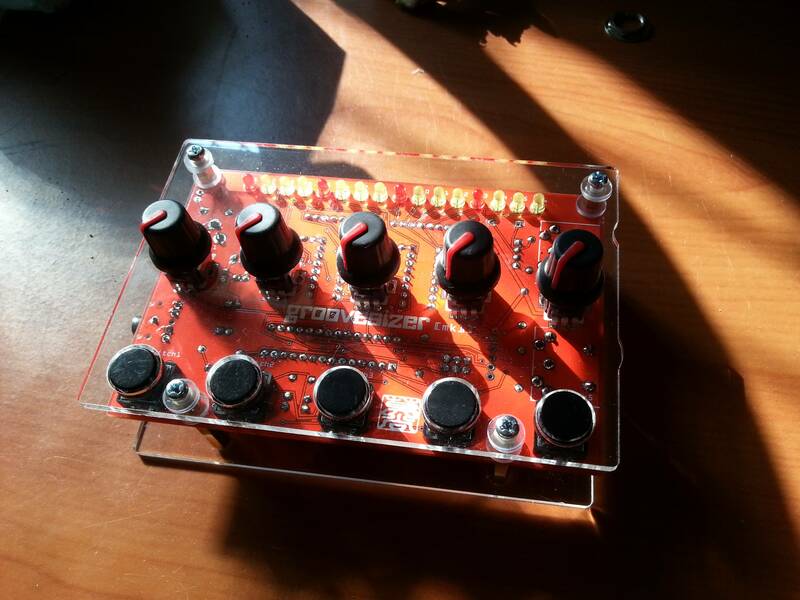 So here’s what the first kit-built Groovesizer mk1 looks like – hmmm, managed to mess up the design on this one a little, but that’s what prototypes are for. The finished kits will look 99% like this. These are VERY close to release now! To prevent confusion, I’ve decided to rename this little box Groovesizer [RED], or just “Red” will do. Though it’s based on the mk1 it’s got enough tricks up its sleeve to deserve its own name.